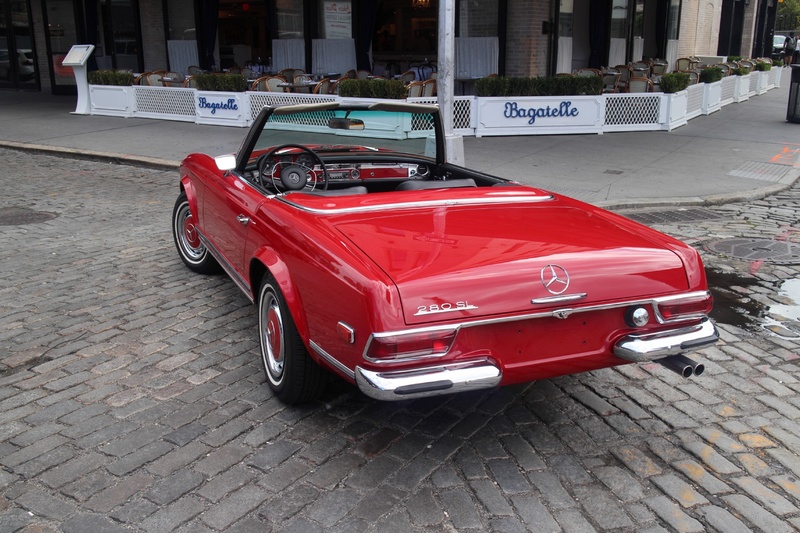 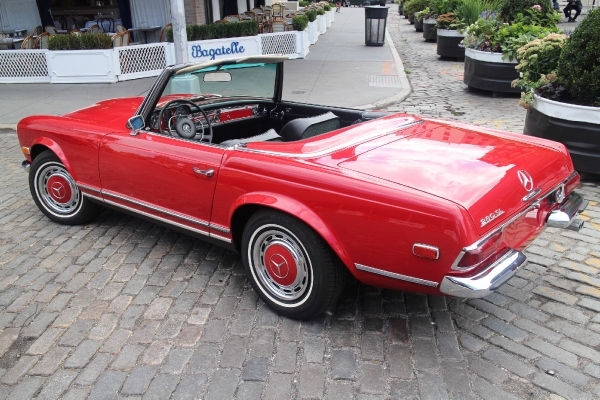 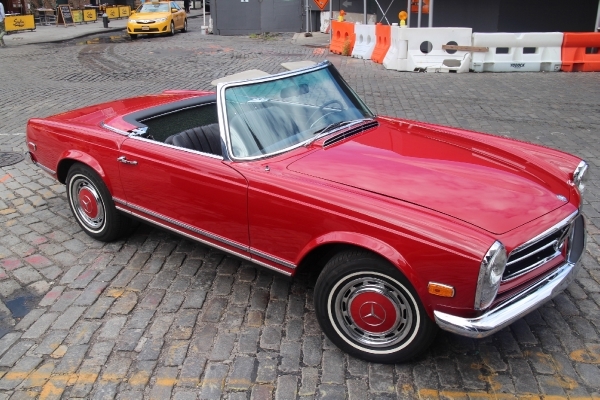 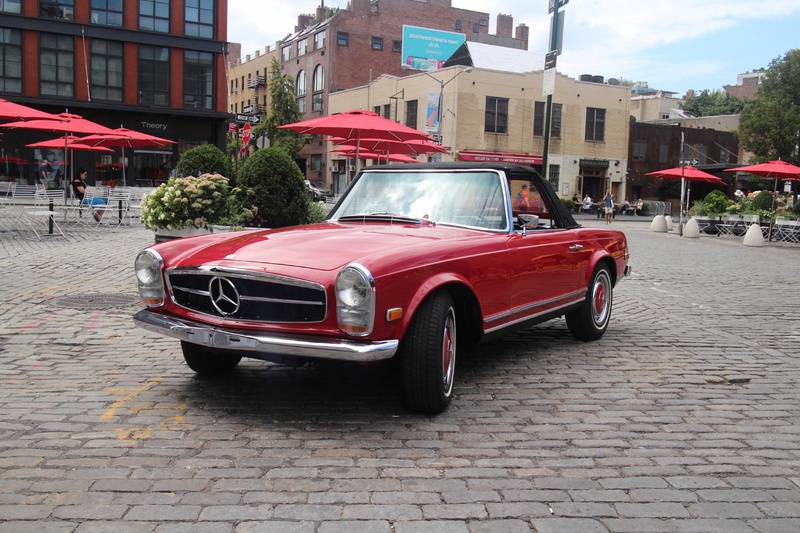 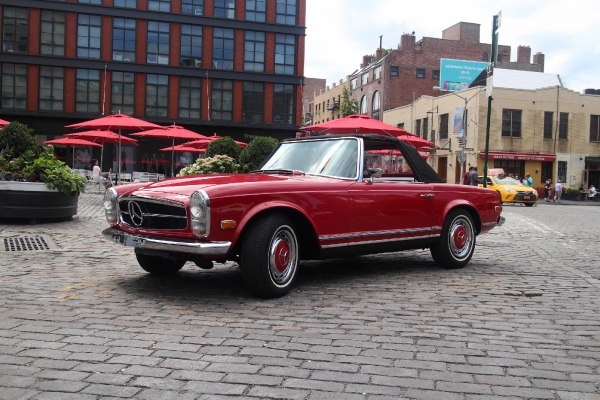 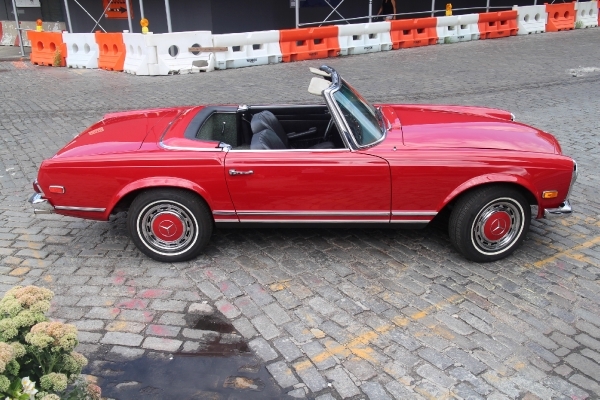 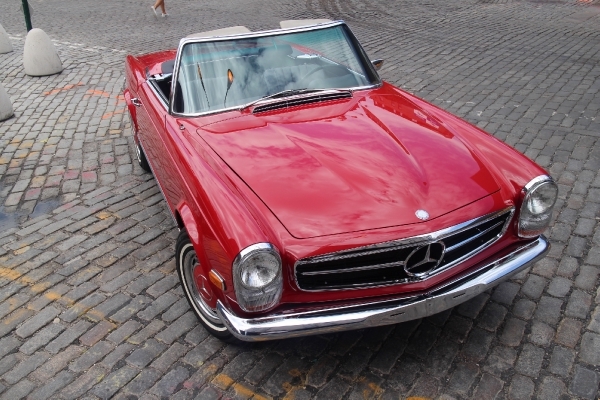 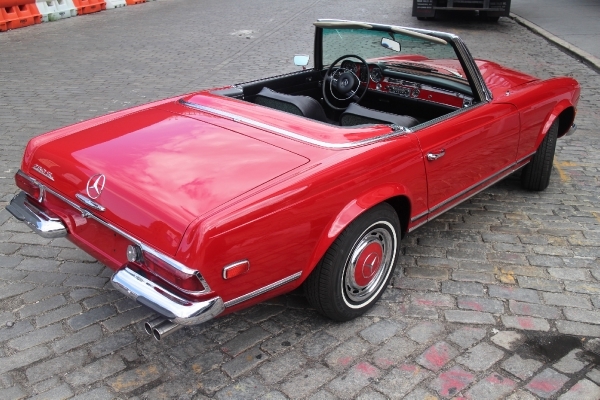 Finished in its original color combination of Signal Red with Black Interior this 1968 Mercedes-Benz 280SL has had one-owner from 1976. The car is numbers matching with it's original engine. 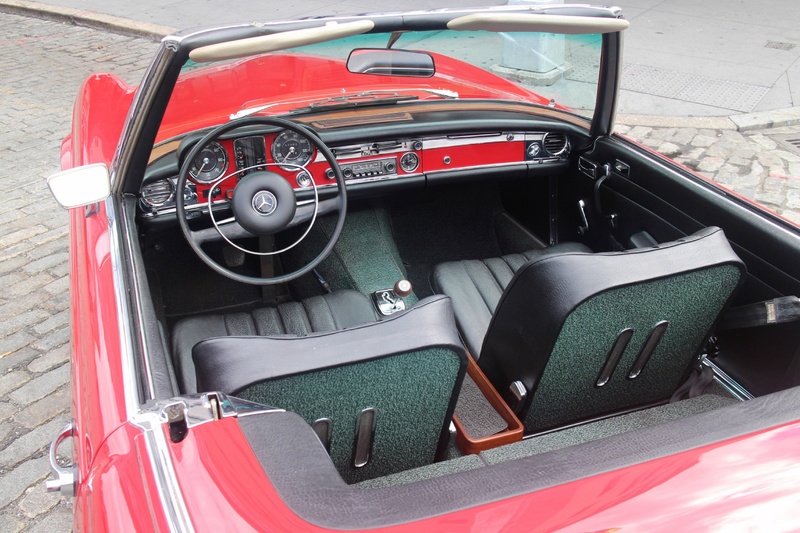 The interior is original and exceptional while the exterior benefits from a repaint in the original color. 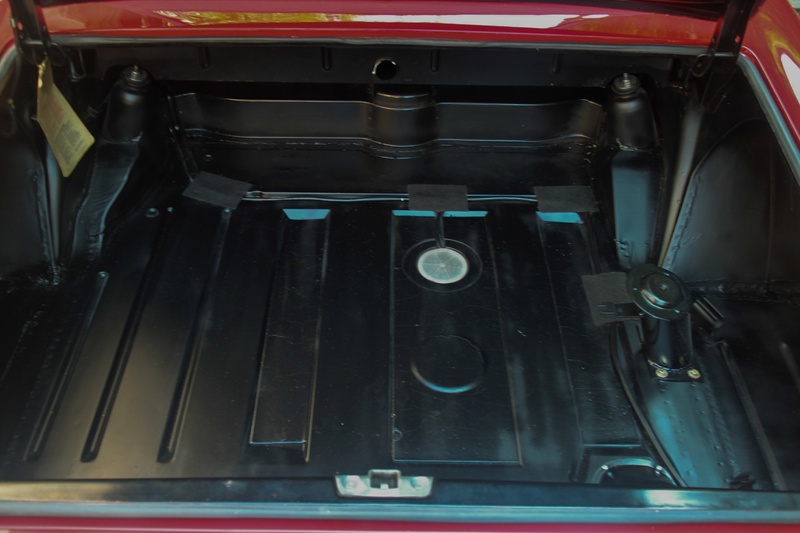 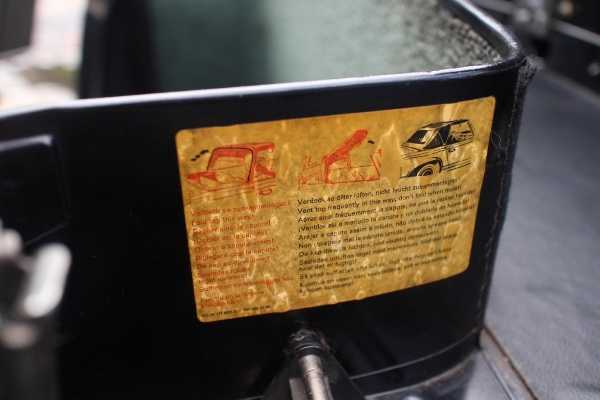 Both the soft top and hard top are finished in black and remain in excellent condition. 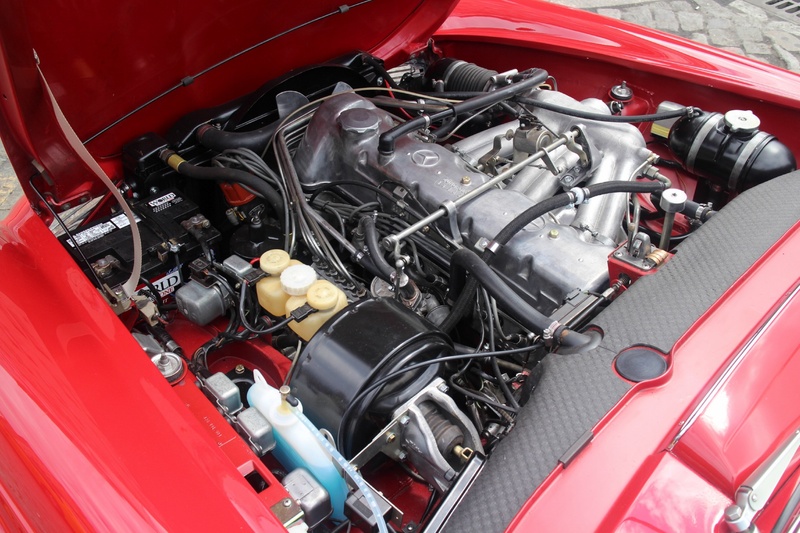 We recently performed a light cosmetic restoration including a detail of the engine bay all the while striving to retain the vehicle's originality and charm. 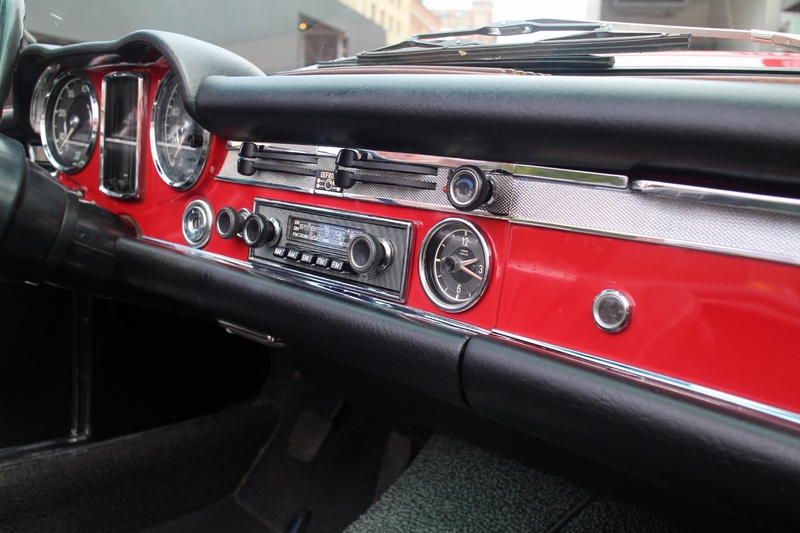 The odometer reads 67,000 miles which the long term owner represents as original and the originality was evident in the car's condition when it arrived. 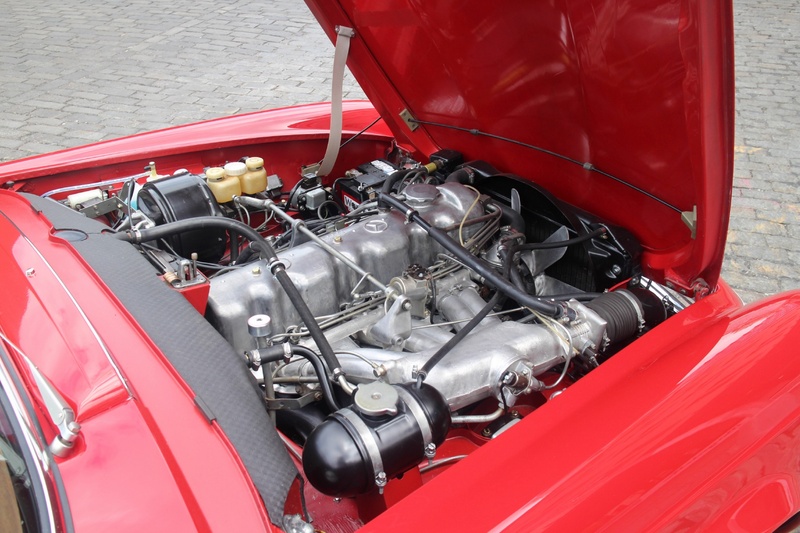 A lovely example all round including the vehicle's performance highlighted by excellent compression, a recent tune up, and general service by our staff. 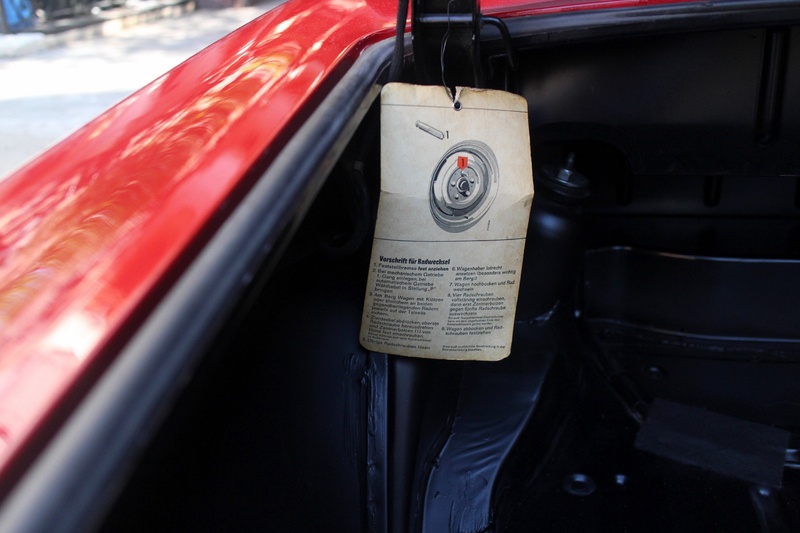 Owner's manuals and a tool roll accompany the sale of this vehicle. 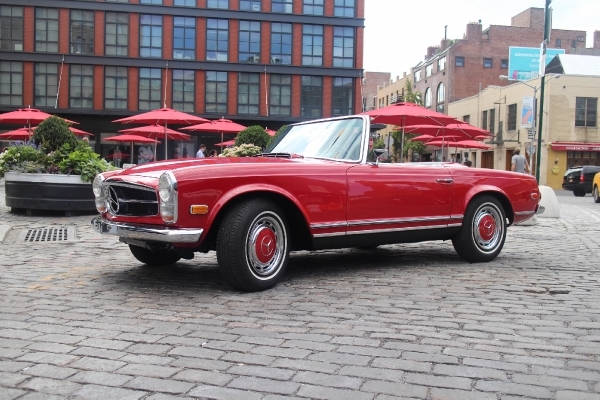 The next owner can rest assured that this fine of example of Mercedes' venerable "Pagoda" is ready to be driven and enjoyed right away.